BBCanada.com | Prince Edward County, ON -- Getting there's easy! Staying there's fun. Returning, a must! 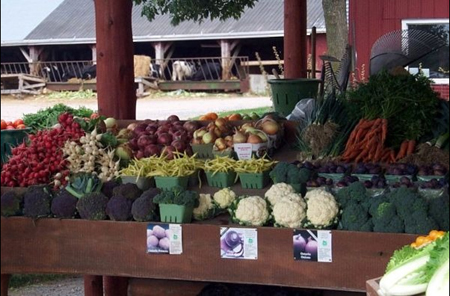 Shop our farm markets or pick-your-own! When we last visited Prince Edward County in the summer of 2005, we recanted a tale of charming Loyalist architecture, sleepy towns and villages and pristine beaches that stretched along Lake Ontario’s eastern edges. Today, we visit a very different Prince Edward County – one that has in the past 5 years, morphed into one of the hottest tourist destinations in Eastern Canada. The little piece of heaven we visited 5 years ago, so carefully guarded and treasured by its local and seasonal residents has now been discovered by tourists and adventurers from far and wide. Today’s visitors to Prince Edward County are a new breed of tourist – one that seeks more than the beaches and idyllic tranquility of island life; one that prefers to seek out the more intrinsic assets The County has to offer - history, culture, food and wine. World class chefs have moved here and delight in using this bounty in their gourmet dishes! Prince Edward County is Canada's fastest growing wine region? Driven by its brand new status (2007) as Ontario’s newest wine region, Prince Edward County is now home to over 30 wineries, exquisite restaurants, many of which are owned by some of Canada’s most renowned chefs, charming inns & B&B’s, a vibrant arts community and a resident population that supports its farmers, growers and artisanal food producers in an “Eat Locally Grown” campaign that is the envy of other regions. Located just 2 ½ hours east of Toronto – a much easier and less stressful drive than the traditional routes north to Muskoka and Haliburton, and 3 hours from Ottawa and Montreal, Prince Edward County is a typical island community. Steeped in a rich United Empire Loyalist heritage and deep agricultural roots, it is now the epicenter of Ontario’s Culinary Tourism movement and a mecca for winemakers, and artisanal food producers. The beaches are still there, they are still pristine and they are still a major draw for visitors to the region. But a new breed of tourist has taken over the main streets of those sleepy towns and villages, and they are experiencing The County in very different ways. You won’t find a Holiday Inn or Best Western Hotel in Prince Edward County. But you will find over 95 charming B&Bs and Inns throughout the island, each one unique and welcoming. Throughout the peak tourist season, rooms are filled to capacity. But in the fall, when the crowds head back to school and jobs in the cities, the frantic pace of summer in The County eases and accommodation providers have rooms available. For those travelers who prefer a quieter pace and fewer crowds, fall is a lovely time of year to visit Prince Edward County. It’s the season of culinary and wine focused festivals and events, of studio and gallery tours, of agricultural fairs and the grape harvest. 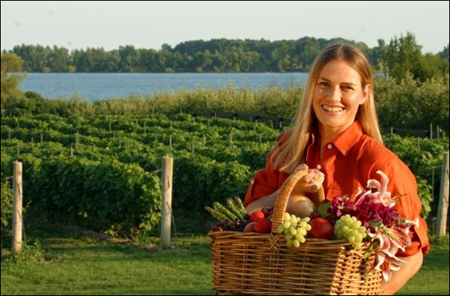 A popular season-long feature is Prince Edward County’s award-winning Taste Trail, a self-guided tour route showcasing the finest of The County’s culinary delights. For food and wine centric people this is an event not to be missed. Local food professionals are dedicated to crafting outstanding products to satisfy your every craving — farmers, butchers, market-gardeners, restaurants, wineries, a cidery and craft brewed beer — your choice depends only on your palate. 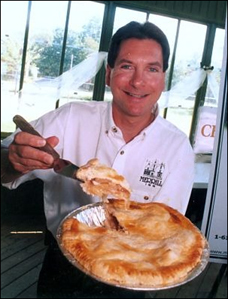 Prize winning apple pie from Merrill Inn. Photo by Taste the Country! Prince Edward County’s list of Fall Festivals & Events is impressive; from cookouts on the beaches to rustic picnics amongst the vines, from elegant galleries to funky ironworks studios, there is something here to satisfy even the most discerning traveler. 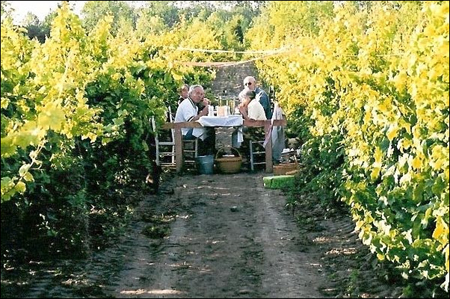 Summer picnic in the vineyard. Photo by Chadsey's Cairns Winery & Vineyards. A spectacular 100% County meal, featuring freshly harvested vegetables and fruits and locally raised beef and pork. Even the bottled water is local. Three seatings are offered to accommodate the more than 1500 people they expect to serve. Tickets are $20 per person, and include admission to the park. More information is available at www.harvestin.ca. Billed as eastern Ontario's premier epicurean experience, this week-long celebration does not disappoint. 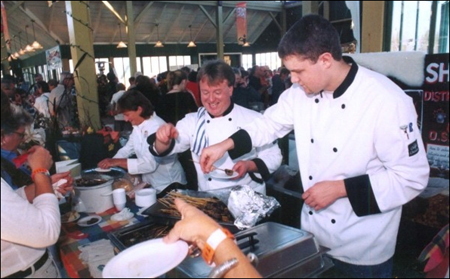 The main event, TASTE, to be held on September 25, is staged each autumn at Picton's historic Crystal Palace. The event showcases the region's finest artisanal foods, wines, beers, ciders and cuisine against a backdrop of live jazz. Taste! a celebration of regional cuisine! A prestigious show and sale of eastern Ontario’s finest artists, held in Picton. Visit their website for further information www.themakershand.com. 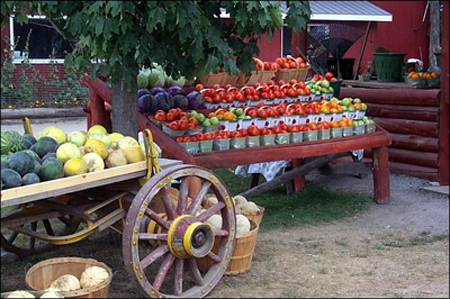 This is just a sampling of what’s happening this fall in Prince Edward County. 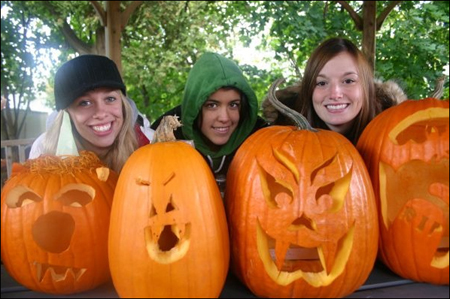 A full list of fall events, accommodation and getaway packages can be found on many of the events websites and at The County’s tourism website, www.prince-edward-county.com. To stay with a BBCanada.com member, please visit our association page for The Accommodation Association of Prince Edward County (AAPEC).